I am trying to use the calendar overlays but I noticed the colors options do not match up with what is shown in the box or calendar. Has anyone been experiencing this with SharePoint Modern sites (a team site) while trying to use the Calendar overlay? There are no customizations on the site, no SPFX solutions, it is OOTB. The colors are controlled by the css classes from ms-acal-color1 to ms-acal-color9 stored in Themable/corev15.css. And the color options are based on the site theme. 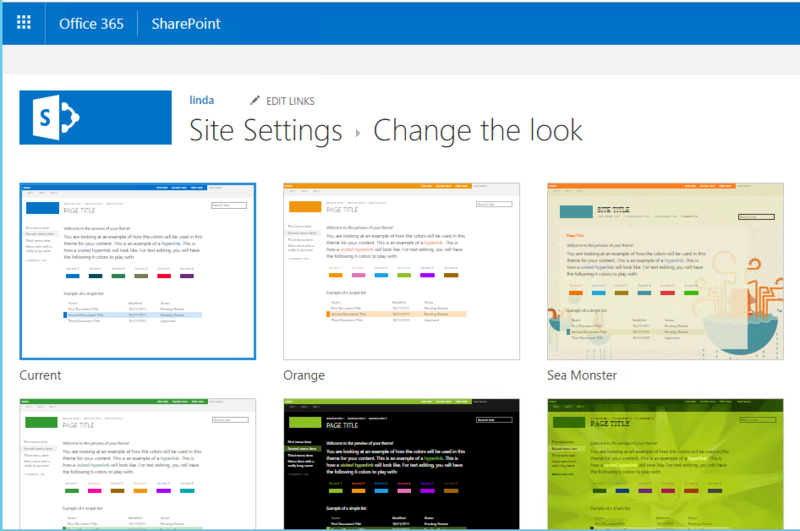 SharePoint online has modern experience and classic experience. And it has modern themes and classic themes. In the modern experience, we click Settings and then click Change the look > change the modern theme. Click “Classic change the look options” to go to the “Change the look” page to change classic themes. Or, you can open Site settings -> Look and Feel -> Change the look to open this page. However, the calendar only has classic view. If we change the modern theme, it still uses style defined in corev15.css based on the classic theme. It causes the color mismatch issue. You need to navigate to “Change the look” page to use the classic theme back. Site settings -> Look and Feel -> Change the look -> Select a theme -> Try it out -> Yes, keep it. If you don’t want to use the classic theme back, you can use scripts to change the colors. Refer to this blog and this demo. 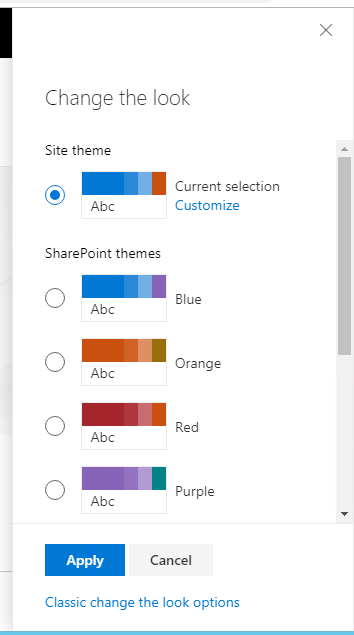 For this color issue when using modern theme, you can contact with Office 365 technical support from Support > New Service request to give a feedback. Not the answer you're looking for? Browse other questions tagged sharepoint-online css sharepoint-calendar modern-team-site or ask your own question. “Calendar Overlay Settings page”? Where is it?